Pulmonary nodules or lung nodules are small round or oval shaped growth in the lung. It is also called spot on lung or coin lesion. Most nodules are small 1 to 1.2 inches in diameter. Larger nodules are called lung mass. Nodule could be malignant (cancer) versus benign (noncancerous). Over 90% small pulmonary nodule are benign. Benign nodule could be ascar from prior infection, granulomas, infection and other conditions. Malignant nodules include primary lung cancer, lymphoma, carcinoid, sarcoma and metastatic nodules- tumors that have spread to lung from cancer in another body part. Most nodules are asymptomatic and usually found on CXR or CT chest done for some other reasons. Larger lung mass can cause chest pain, cough, hemoptysis. Benign small nodules are commonly seen on CT chest. Usual test done during workup includes chest X-ray, CTchest, and PET scan. If thenodule is large or growing on serial CT chest, abiopsy is recommended or complete removal by thoracoscopic surgery. 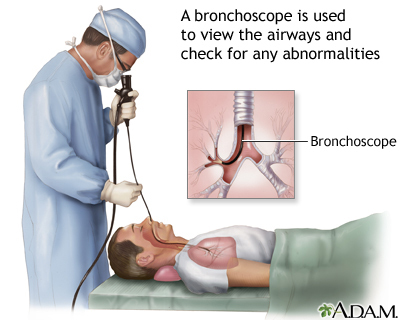 A biopsy can be done by bronchoscopy or CT-guidedbiopsy. Most smaller nodules do not need biopsies but will need surveillanceat chest depending on the size of nodule and risk factors including smoking, family history of lung cancer or prior cancers.